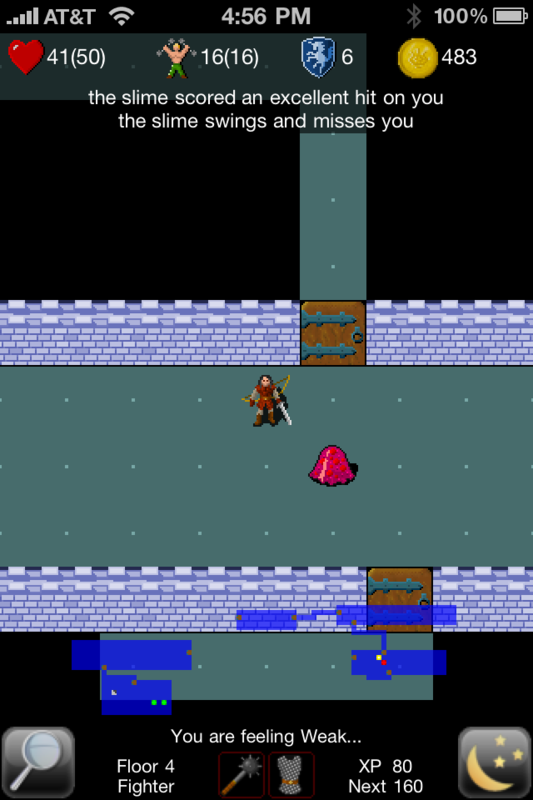 As long-time readers are surely aware, I’m a retro gaming nut and, within that classification, am a particular fan of the roguelike / dungeon crawler genre. Gamers like me were handed real treat early last year when ChronoSoft released Rogue Touch [App Store], an iPhone adaptation of / enhancement to the 1980 genre-defining Rogue. One of my absolute favorite iPhone games, Rogue Touch really takes me back to those long hours spent in front of Rogue on my Atari ST back in 1987. Scroll of Safe Passage fixed- it would actually *hide* previously found traps without disarming them. Not anymore! Knockback Attacks! You have a chance to push back a monster with each successful blow you strike! The chance grows with increased strength and higher experience levels. Monsters that get pushed into a wall or another monster take additional damage! The developer, alongside his forthcoming Spirit Hunter Mineko, is presently working on Rogue Touch EX, a take on the formula that should have greater appeal to more casual gamers than the original. Rogue Touch EX is a side project. It is planned to be a more slick, streamlined experience utilizing knowledge gained in working on Spirit Hunter Mineko this year. The “EX” stands for enhanced and extended. Core gameplay will remain “Rogue”, but the presentation will be unlike any version of Rogue ever seen. The fact is most people find rogue-likes unappealing to look at, but may actually enjoy the game if given a chance. Rogue Touch EX and Spirit Hunter Mineko are different takes on the idea of making a more appealing experience. 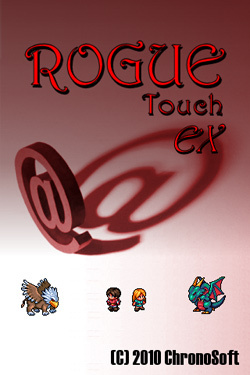 Rogue Touch EX is in the early stages right now, and should see an App Store release sometime later this year. Fans of the original can rest assured that it will continue to evolve alongside the new title. We’ll keep readers informed as more details emerge surrounding all of ChronoSoft’s works in progress.